Sometimes I have to rely on the lens of memory to see her as the true beauty she once was. Waiting for the occupational therapist to arrive, my widowed mother is slumped in a chair in her new assisted living apartment. Her naturally wavy gray hair is long overdue for a good cut, and the navy stretch suit shes wearing is at least a size too large. She looks older than her 81 years. Mom doesnt seem to care, which is totally unlike the woman she was before vascular dementia began devouring her pride, her self. Not long ago, she was the sort of woman who wouldnt be seen anywhere without a fresh application of her favorite Estee Lauder lipstick. Not surprisingly, shes confused and miserable in her new surroundings. She spent a week in the hospital at the end of last year, then another four weeks at a nursing rehab center. She wants to go back to her own condo — now — but I don’t have the heart to tell her (again) that this will be her home for a while. Working with the assisted living staff, I keep trying different things to distract her. I want to help my mother enjoy whats left of her life; to earn back her approval. And I desperately hope to see a glimmer of happiness or a trace of contentment on her face. But as I listen to her litany of complaints and watch her struggle just to rise from her chair, I cant help but wonder if the goal is out of reach. After my visit, I drive across town to retrieve more of Mom’s clothing from her condo. As soon as I arrive, I wander each room tentatively, half expecting to find evidence of intruders. Or ghosts. Gathering dust in her long absence, the whole place is as quiet as a mausoleum. A recipe box sits next to her blood pressure cuff on the kitchen table, exactly where my mother left them the day after Thanksgiving — the day I drove her to the emergency room. There are plates in the dishwasher and an old grocery list on the counter. With no one else living here now, the condo feels like a museum of my mother’s former life. And every piece of furniture is a relic of our familys past. Which is partly why Im overcome by an urge to dig through Moms closet for an album of family photos dating back to her childhood in 1930s. At first, I tell myself that the photos might trigger some happier conversation with my mother at the assisted living residence. But in reality, I’m the one who needs to be reminded of the strong, beautiful woman she once was. Flipping through the album I’d been looking for, I pause at the sepia-toned photo of Mom when she was barely three years old. I am always moved when I see photos of my parents as children. And while dementia has rendered my mother more helpless than ever, this particular photo shows her at her smallest, most vulnerable self. In it, Mom is standing bow-legged in a sandbox behind the Indianapolis home of her beloved grandparents, the folks who took care of her while her newly divorced mother was at work. A source of shame in those days, divorce was rarely discussed openly in my mothers household. 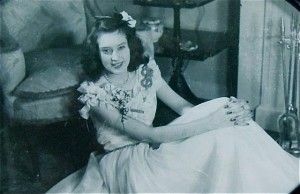 Much later, shed share stories of how her young father abandoned his new family — right before she was born — and how her grandparents helped support her mother during the Depression. In the photo, Mom wears a swimsuit and a pair of beaded moccasins. Holding a tiny shovel and a rubber ball, she looks as if she were caught off guard; her smile is more of a question than a statement. Still, theres the twinkle of determination in her dark brown eyes. Moms stepfather, who came into her life a few years later, was an amateur photographer. His devotion to his hobby, and especially to my mother, is evident throughout the photo album. Because the photo is black and white, I can only guess that her dress is white, or maybe a pale shade of blue. It’s likely that her lipstick and nail polish are deep crimson, as dictated by the film stars of the 1940s. 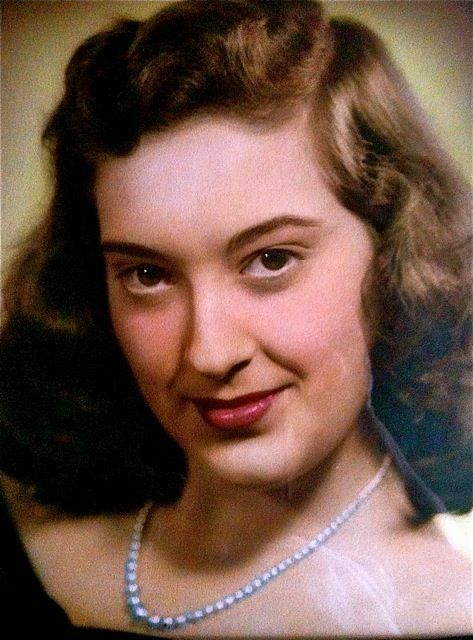 But there’s no denying that my mother looks gorgeous and happy in this portrait. The sweet promises of true love, her own home, and a secure family — all she ever wanted — are almost within reach. It also occurs to me that this album of memories belongs with my mother in her new assisted living apartment, not hidden away in a closet that she probably wont ever open again. So I pack the book in my car along with another bag of nightgowns and a new package of incontinence products. The following day, when I reintroduce her to the album and its treasures, her eyes light up as if shes seeing the photos for the first time. Her oldest memories rush forward — they never left her, of course — and she recites the names of all the beloved people and places in the vintage photographs. She pauses at a shot of her grandparents and spins another reverie of their beautiful Tudor home on the river near Indianapolis. UPDATE: The following essay was syndicated by BlogHer last week. So far, the post has earned over 22,000 “reads” on the BlogHer site. Click here to read the comments. Maybe I hit a nerve? Before it became an attractive nuisance, Facebook was fun — really, really fun. At the start, I enjoyed reconnecting with old pals and coworkers I hadn’t seen in years. A few had published books or become grandparents; others had moved to retirement homes in Tampa or Hilton Head. In addition to cute family photos, I got an eyeful of political rants and viewpoints that took me by surprise. (An editor I’d pegged as liberal, for instance, turned out to be a closet conservative.) It was all so compelling that, instead of tackling a new project, I’d spend entire mornings reading Facebook updates from literally hundreds of folks, a few of whom I’d met only once. How many friends do you (really) have? By the time I deactivated my Facebook account last week, I had accumulated 555 friends. The list included former classmates, relatives, students from my writing workshops, readers of my columns, and background actors I’d met on film sets. My posse also included good neighbors who lived just a couple of blocks away, which seemed like overkill, but what the heck? I wasn’t exactly a friend whore (someone who collects random friends to appear popular) but I rarely turned down friendship requests, and I un-friended only one person whose political comments were ill-informed and cruel. In any event, with so many people to look after, Facebook soon became another task on my ever-expanding to-do list, and I was conflicted about using it. In 2009, Sheryl Sandberg reported on The Facebook Blog that the average user had 120 friends. Today, Facebook reports that the average user now has 130 friends — and we all know users who have upwards of 1,000. But in my admittedly old-fashioned view, even 130 friends are difficult to keep track of in a timely, courteous fashion — unless you have nothing to do but twiddle with your computer all day. Either way, I’ve always believed that real friendship is reciprocal, not promotional. And certainly more than virtual. Real friends do more than punch the “like” key on your status updates. Real friends call you directly on the phone, send cards, help you move furniture, meet you for breakfast, babysit your cats, or otherwise make three-dimensional efforts to be there for you. Of course, you need lots of extra time for real friendship like that. My “networking” on Facebook was devouring some of that time, and I was starting to feel guilty about it. Forget you. It’s all about me. Worse yet, I worried that Facebook was making an egomaniac out of me. (Isn’t it enough to be writing a blog?) Along with photos of my latest art projects or links to my articles, I started posting attention-getting tidbits, which, before Facebook, I would have shared with a mere handful of trusted, longtime friends. Why in the world did I need to broadcast to 555 Facebook users that my cat suddenly decided to pee in the toilet in our master bathroom? In short, Facebook was becoming a tool to promote myself, with a few family photos thrown in for good measure. I’d gotten so busy that I wasn’t taking time to comment on my friends’ updates and photos — unless they left comments on mine. I’ve always tried to avoid one-sided relationships, but good lord, there I was, conducting one of my own. 1. Am I giving up my family’s privacy in exchange for building a platform or a following on Facebook? 2. Do new acquaintances on Facebook deserve the same attention as my oldest friends and relatives? 3. Do I care as much about other friends’ status updates as I want them to care about mine? Am I using or exploiting my Facebook friends? 4. How much time do I have to reciprocate comments? 5. How much do I need to know about other people — and why? 6. Do the “friends” I’ve met only once need up-to-the-minute details of my life? Who should be informed that my mother is ill? Or that I attended someone’s 50th birthday party last night? And is it safe to broadcast when I leave town on vacation? 7. Am I becoming an “all about me” person? In her new memoir, Lessons from Madame Chic: The Top 20 Things I Learned While Living in Paris, Jennifer L. Scott chronicles the year she studied in Paris and learned a thing or two about the elusive French mystique. Scott, who now lives in Santa Monica, found that an abiding sense of privacy is decidedly French. “French people, as a habit, do not reveal too much information about themselves. Not to people they know and certainly not to strangers,” Scott writes. In other words, Je ne sais quoi isn’t simply a matter of knowing how to tie a gorgeous scarf. Scott also notes that most French people do not gab in public on their cell phones; it’s considered boorish to allow others to eavesdrop on conversations. Furthermore, she says, the French are not likely to ask what you do for a living when they first meet you at a party. Out of courtesy and respect, personal details are shared only with intimate friends who’ve been nurtured over time. Which got me thinking about how much we share on Facebook. To be a person of mystery would be very un-American, wouldn’t it? In a culture of celebrity, it stands to reason that so many of us fear we won’t exist if we’re not seen or heard from 24/7. Maintaining a Facebook profile is one way to keep your name “out there” while everyone else is squawking, yelping, chirping, and Tweeting for attention. At the same time, I’m not opposed to social networking for the right reasons. If you’ve got a product to market — or you are the product — courting a big audience on Twitter or Facebook is undoubtedly good for your business. I won’t argue with that. What’s for real and what isn’t? Yet, from a totally personal perspective, I’m secretly thrilled at the thought of wearing a cloak of privacy as I go about my daily routines. I’d like to shop for groceries or visit someone in the hospital without feeling compelled to announce it ASAP on Facebook. I’d like to spend more time reading the novels stacked next to my bed — the novels I’m too tired to read because I’ve strained my eyes staring at a computer screen all day. And I’d like to spend more time nurturing — and deepening — the three-dimensional friendships I’ve neglected while meeting the challenges life has thrown at me lately. If I cut back on the time I spend playing with social media, these deceptively simple goals would be easier to reach. Of course, there’s a lot I’ll miss about Facebook. I’ll miss the news from out-of-town friends, links to thought-provoking articles, and all those adorable cat videos. But until my life is back in balance, I have to bow out. For now, blogging is a less intrusive way to share. And while it’s as public as a newspaper, you can pick and choose which items you want to read. Or you can swim back into cyberspace and surf elsewhere. You’re reading these last paragraphs right now because you found the topic interesting and wanted to dive a little deeper than a sentence or two. That matters a lot to me. 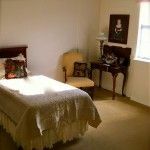 In addition to getting my mother adjusted to assisted living — still a challenge — I’m devoting the month of January to organizing clutter. For starters, I bought a portable day planner for keeping track of my mother’s insurance info and medical appointments, plus dozens of other notes to myself. The new planner now combines my personal data with my mother’s, all in one handy notebook that fits in my purse. While transferring names and numbers to the new pages, I remembered the following essay from my book, Writing Home. It was first published in a local column when I was a younger mom with a school-age child. August 15, 1999; Reprinted from Writing Home. Some things will always defy our control. Keeping a kid in the same shoe size for more than six months is one example; maintaining a neat, fully updated address book from one year to the next is another. Im talking about the old-fashioned (not electronic) address books that keep us in social contact — the dog-eared pages we’ve crammed with birthday reminders, letters to answer, and cards announcing new addresses for relocated loved ones. My own address book is a bit confusing, even to my husband, but it does have a system. For example, one page might be scribbled with little arrows and codes referencing another section of the book (“Look under H/Hill”). This usually means that someone has remarried and changed her name, or that a cousin has left for college or moved to his own apartment. 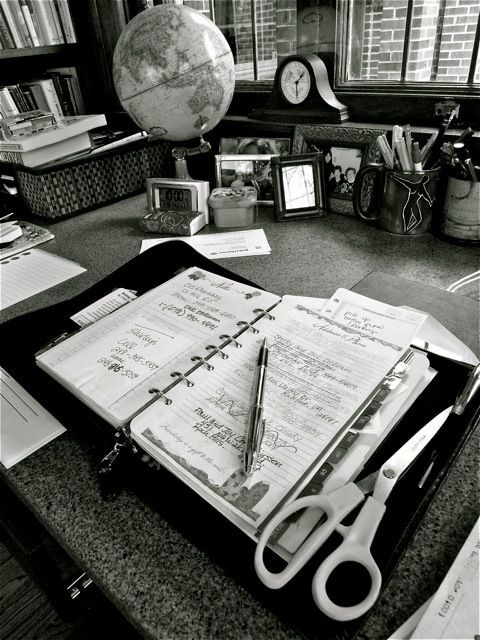 No matter how badly it’s organized, my address book is irreplaceable, especially during emergencies. This hit me seven years ago after my father died. One of the first things my mother and I did was comb through our address books to locate former coworkers, distant cousins, and old friends who needed to be notified of Dad’s passing. Each name, each address, was a chapter in my father’s history. — Reflecting the national average, many of my friends are divorced or working on second marriages. — Divorce often forces us to choose between friends who used to be a couple. — Having kids makes a huge difference in our social circle, not to mention the restaurants we frequent. — The more people we know and love, the harder it is to send birthday cards on time. — As we age, the line between friends and family starts to blur. Catching up on the phone last week, Margaret, my former college roommate, and I decided that our midlife definition of “old friends” covers people we’ve known and loved unconditionally for at least half of our lives. They’re the first ones we call when the biopsy results come back or our kids win the big tournament at school. Thats not to say I undervalue the various gifts my newer friends bring to the table. Some are skilled counselors or tireless cheerleaders; others are better at listening than advice-giving. One brings comic relief to every party, while another is the perfect companion for a silent retreat at a monastery. All have expanded my outlook and enriched my life, and I look forward to our future together. But Ive also found that while most of us change or evolve over time, our friendships don’t always change or evolve with us. One friend and I drifted so far apart in our interests that we might just as well have moved to opposite sides of the planet. Another disappeared without a trace after a heartrending divorce. While every relationship has its low points, the stronger ones survive conflict as well as change of address. But I’ve learned it’s never healthy to cling to an alliance that has turned draining, one-sided, negligent, or destructive. As Emerson said, friendship should offer mutual “aid and comfort” through all of life’s passages. I think it should be fun, too. Click here to read another column I wrote last spring on the benefits of maintaining healthy friendships. One of the many things I appreciate about my artist-architect husband is that he’s always encouraging me to push my own artwork to the next level. Given that our family has been in a crisis mode (my mother’s health) for the past year, it’s not easy to make time for art, let alone enter our work in competitions. Regardless, earlier this month Doug printed out the forms for the Anton Art Center‘s 38th Michigan Annual Art Exhibition and nudged me to enter one of my new pieces. I’d been working on a mixed-media assemblage (mounted on canvas) that was inspired by a post-Civil War photograph I found in my Granny Bee’s family album. The woman in the photograph isn’t identified, so, sadly, I have no idea who she is. Yet her pensive expression and confident pose always intrigued me. 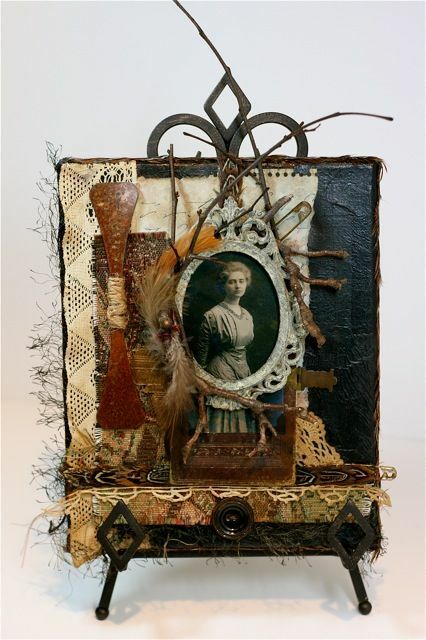 In my assemblage, the woman’s photo is surrounded by found objects — twigs, feathers, part of an old leather Bible cover, and vintage fabrics. In the background, you’ll also see a scrap from a notebook of shorthand that Doug brought home from a thrift shop. 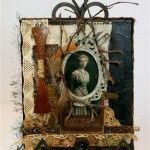 Titled “The Importance of Ancestors,” this piece pays homage to the “stuff” we leave behind — and how tokens from the past can influence our memories of a person. It also plays with the idea of having roots and family trees. Thanks to Doug, I entered the piece in the Michigan Annual Exhibition, and was pleased to learn this week that it was accepted. The opening reception is on January 27th, 6 – 9pm. The exhibit runs through February 24th. One final thought: Athletes typically have their own cheering sections, but most artists and writers labor in solitude. If you practice any of the arts for business or pleasure, it’s important to have close friends and advocates who keep you encouraged and inspired. (Of course, a supportive spouse is invaluable.) Cherish those people — and try to schedule more time with them. Avoid the naysayers who trample your dreams or spend most of their free time watching mindless games and shows on TV. Yesterday, while labeling my mother’s clothing and underwear, I had a surreal moment in which I felt as if I were moving another kid to college. In reality, we’re getting ready to transfer Mom to an assisted living residence, where she’ll soon have her own studio apartment. Doug and I spent the past week moving pieces of Mom’s furniture (her apartment comes with some basics) along with decorative accessories, photos, clothing, TV, microwave, and toiletries. We also shopped for a bedspread and items for her kitchenette. The new apartment looks traditional and beautiful — the style my mother is accustomed to — yet we know, deep down, that all the elegant things in the world won’t fool my mother into thinking this other place is superior to the condo she’s grown to love so much. When Doug and I aren’t consumed by the moving process, I’m usually on the phone with a social worker or a physical therapist at the nursing center where my mother is undergoing rehab now. The social worker is concerned about my mother’s delusional behavior this week. Mom doesn’t believe there’s anything wrong with her health — nor does she remember last month’s visit to the ER at Beaumont Hospital, which ultimately led to all of this. Sounding like Dorothy on a broken record, she just keeps asking to go home. To her real home. While I know this move is inevitable and right, I still feel twinges of guilt for uprooting my mother from everything that matters to her. And I don’t know how I’d survive the stress without Doug, the world’s absolute-best husband. 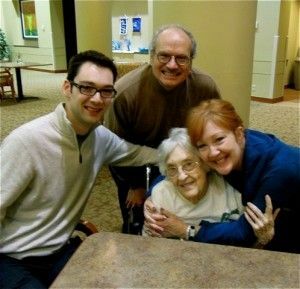 It breaks my heart a little, too, when I remember that Doug plowed through a similar scenario less than two years ago when his late father (who had Alzheimer’s) had to be moved several times until he and his mother found the right nursing home. (Ain’t midlife grand?) Doug’s experience with lease agreements and medical/legal paperwork alone has been invaluable, not to mention his willingness to sit with me and write my mother’s name on dishtowels and socks with a permanent marker.